April 18, 2019 — The first of eight quarters comprising the 2020 election cycle is now complete and, with that, most of the first Senate financial disclosure reports have been published. Below are the latest available cash-on-hand figures for the 31 in-cycle senators who are seeking re-election. As you can see, the overwhelming number of incumbents are in strong financial position with Texas Sen. John Cornyn (R) having more in the bank than anyone. He will need a large war chest because Texas is such an expensive state. In 2018, Beto O’Rourke, who was challenging Sen. Ted Cruz (R-TX) before declaring his presidential candidacy, raised over $80 million — some $34 million more than his incumbent opponent. Combined, the two banked over $125 million, not counting substantial independent expenditures that helped both men. Not surprisingly, Senate Majority Leader Mitch McConnell (R-KY) raised more money than anyone else in the first three months of 2019 — some $7.991 million, exceeding Sen. Cornyn but by just over $200,000. The low-end senator is rather surprising, since she is again likely headed for a competitive campaign. Posting numbers that would even be low for a US House race, Sen. Cindy Hyde-Smith (R) raised only $232,239 for the quarter and has just $218,703 in the bank. The senator is again expected to face former US Agriculture Secretary and ex-Mississippi congressman, Mike Espy (D). The two battled each other in the 2018 special election, with Sen. Hyde-Smith prevailing 54-46 percent in the Nov. 27 run-off. Hyde-Smith was appointed to fill the balance of Sen. Thad Cochran’s (R) final term. Cochran resigned his seat due to health reasons. All of the following figures are current through March 31, 2019, with the exception of four senators: Cory Booker (NJ), Mike Rounds (SD), Ben Sasse (NE), and Tina Smith (MN). It is probable all reports were filed, but the Federal Election Commission has not yet published their numbers. Sen. Booker’s 1st-quarter fundraising is for his presidential effort, which is unofficially reported to exceed $5 million. 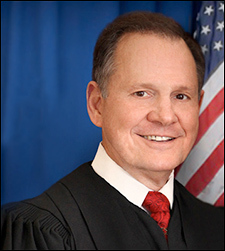 Are we about to see the return of Judge Roy Moore in the 2020 Alabama Senate race? April 17, 2019 — Mason-Dixon Polling & Strategy just surveyed the Alabama electorate (April 9-11; 625 registered Alabama voters), testing Sen. Doug Jones’ (D) pre-campaign political strength and the fledgling potential Republican candidate field. The Alabama Senate race may be the most important in the 2020 cycle. If the majority Republicans unseat Sen. Jones, who was the beneficiary of former state Supreme Court Chief Justice Roy Moore imploding in the 2017 special election to replace Sen. Jeff Sessions (R), they will increase their chamber advantage to 54-46 at a time when the party has to defend 10 more seats than their Democratic counterparts. If they fail to convert and Sen. Jones is re-elected, the Democrats will exponentially increase their odds of re-capturing Senate control. Though the M-D poll did not pair Sen. Jones with potential Republican nominees, they do provide us some important information. On the question of whether Sen. Jones deserves to be re-elected, a majority response of 50 percent say he should be replaced. Conversely, 40 percent believes he should be re-elected. The senator’s job approval ratio is virtually dead even, with 45 percent of the respondents providing positive comments about how he is performing in Washington versus 44 percent who believe he is not performing well. Jones is viewed positively in the Birmingham metro area (48:41 percent), and very positively in the Montgomery region (71:21 percent). In all other Alabama geographic sectors, he is perceived negatively with his worst numbers coming in eastern Alabama where the ratio drops to 35:53 percent. 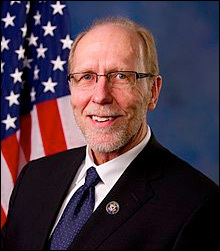 April 16, 2019 — Seven-term Iowa Rep. David Loebsack (D-Iowa City) announced Friday that he will not seek re-election in 2020. Loebsack, a former college professor, first came to Congress in the 2006 election when he unseated GOP Rep. Jim Leach in a major upset victory. Since his first re-election, Loebsack has generally faced Republican competition, but the GOP has never been able to elevate a challenge against him to top-tier status. Still, in his seven elections, Rep. Loebsack recorded only a 53.7 percent average victory margin. 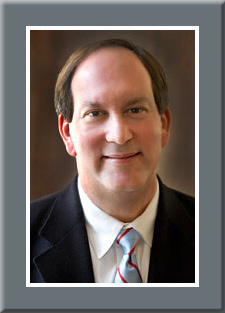 Last November, he defeated Republican Chris Peters, who also ran in 2016, 54-42 percent. Iowa’s 2nd District occupies the southeastern quadrant of the four congressional districts in the state under a mapping plan that divided the territory geographically by quarters. The two largest 2nd District population centers are the cities of Davenport (102,000 population) and Iowa City (74,000). Politically, the 2nd looks to be the strongest Democratic district of the state’s four seats, but the electorate did support President Trump with a 49-45 percent margin. Previously, however, President Obama ran strong here in both of his national campaigns, carrying the district 56-43 percent in 2012 and 57-42 percent during his initial 2008 campaign. With President Trump needing to win Iowa next year, it is clear that his campaign will attempt to maximize right-of-center turnout in IA-2, meaning a potential Republican open seat congressional candidate should get an indirect boost. Now, with no Democratic incumbent running to defend the seat, this district figures to become a key GOP conversion opportunity. April 15, 2019 — We reported upon polling data (Change Research and Emerson College) last week that suggested Sen. Bernie Sanders (I-VT) had edged ahead of former Vice President Joe Biden and is even out-polling Sens. Kamala Harris (D-CA) and Elizabeth Warren in their respective home states of California and Massachusetts, but newly released figures already show variation. Two polls reverse Sanders’ early positive trend including one from his neighboring state of New Hampshire. In 2016, Sen. Sanders easily outpaced Hillary Clinton (47-28 percent with 25 percent voting for an uncommitted slate) to win the first-in-the-nation primary in that election year. Monmouth University recently surveyed the Iowa Democratic electorate (April 4-9; 351 likely Iowa Democratic caucus participants) and found former VP Biden leading Sen. Sanders by a substantial 27-16 percent margin, as South Bend Mayor Pete Buttigieg catapults into third place with nine percent. Sens. Harris and Warren then follow with seven percent apiece. Ex-Texas congressman, Beto O’Rourke, is next with six percent, and the remainder of the field posts four percent or less. Almost simultaneously, St. Anselm’s College polled their home state (April 3-8; 326 likely New Hampshire Democratic primary voters) and found Biden leading in New Hampshire, too. Here, the support percentages are 23-16-11-9-7-6 percent, respectively, for Biden, Sanders, Buttigieg, Warren, Harris, and O’Rourke. April 12, 2019 — The Change Research polling organization released a new Democratic primary poll of the California electorate (April 6-9; 2,003 likely California Democratic primary voters) and projects Sen. Bernie Sanders (I-VT) to be nipping former Vice President Joe Biden and home state Sen. Kamala Harris. In a secondary ballot test that excludes Biden, Sanders prevails over Harris even under this scenario. Earlier in the week, Emerson College released a Massachusetts Democratic primary poll (April 4-7; 371 likely Massachusetts Democratic primary voters) that found Sen. Sanders leading Biden and Massachusetts home state Sen. Elizabeth Warren (26-23-14 percent). Therefore, we are clearly seeing a Sanders rise in the early part of April. In the Change California poll, Sanders has a slight 22-21-19 percent lead over Biden and Harris – obviously a statistically insignificant margin – but it does show that Sen. Harris is not dominating her own electorate. Taking fourth, fifth, and sixth in this poll are ex-US Rep. Beto O’Rourke (D-TX) with 10 percent, South Bend (IN) Mayor Pete Buttigieg at nine percent, and Sen. Warren pulling only eight percent of the vote. If Biden chooses not to run, since he is still not an announced presidential candidate, Change finds that Sen. Sanders would edge Sen. Harris 28-27 percent, with O’Rourke (16 percent), Buttigieg (11 percent), and Warren (nine percent) following. This tells us, at least in the early going, that California, with its large 416 first ballot delegate contingent, is clearly up for grabs even with its home state senator in the field of candidates.